Come visit the MOPACA Show 3/30/19 & 3/31/19 at Hale Arena in Kansas City! This is one of our favorite shows of the year and it is right here in Kansas City! You will find other vendors like us that sell products made from alpaca fiber as well as vendors with products useful to those who raise them. Stop by our booth and look at all the yarns and rovings that we produce from our alpacas’ fiber. We also have plush animals, dryer balls, socks, hats, gloves and hand made soaps. We have some great products to fill those Easter baskets this year! Watch members of the local fiber guilds demonstrate spinning, weaving and other fiber arts. Sit and watch the show rings as alpacas are judged and placement and ribbons are awarded. And of course, see all the beautiful alpacas. I love this show because you can learn so much all in one spot. You can talk to breeders about what it takes to succeed in the show ring, visit with the vendors and learn more about what they do. You can watch the spinners and weavers to see first hand how to turn fiber into fabulous products. 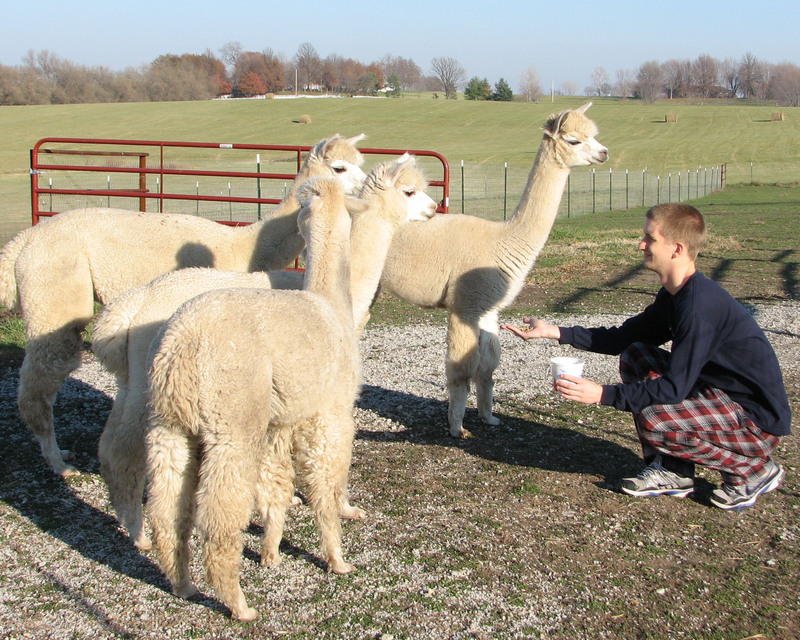 And even, maybe find an alpaca farm in your area that you can visit at another time. Admission is free. Kids are welcome. There is plenty of room for strollers. Please stop by our booth and say hi! We would love to see you! We are starting to plan for our Spring Events and we are so excited! By this time in the year, it has been several months since we have been out with our yarns, rovings, socks, farm plush and hand made soaps. We enjoy visiting with fiber folks, neighbors and friends and showing off our new items and colorways. We also have Shearing Day scheduled. This is our Harvest Day……the day we really get to put our hands into that gorgeous fiber and make processing plans for the year. We will be sending out more information for these events as it gets closer to time, but for now….. This will be our first time at this even and we are so excited. Just the 2nd year for the show! We’re discussing and making plans. And promise to be on our best behavior. Because Parsons’ Prairie Farm’s 2016 Fall Farm Day is almost here! Last year we were so busy and had so much going on that we decided to cancel Fall Farm Day………a decision we regretted almost from the minute it was made. We so missed opening up the farm to visitors, meeting new friends and the enjoyment of sharing our farm with others. I vowed we would not miss a Fall Farm Day again! So come on out to the farm on Sunday afternoon, September 25th and see what we are all about. 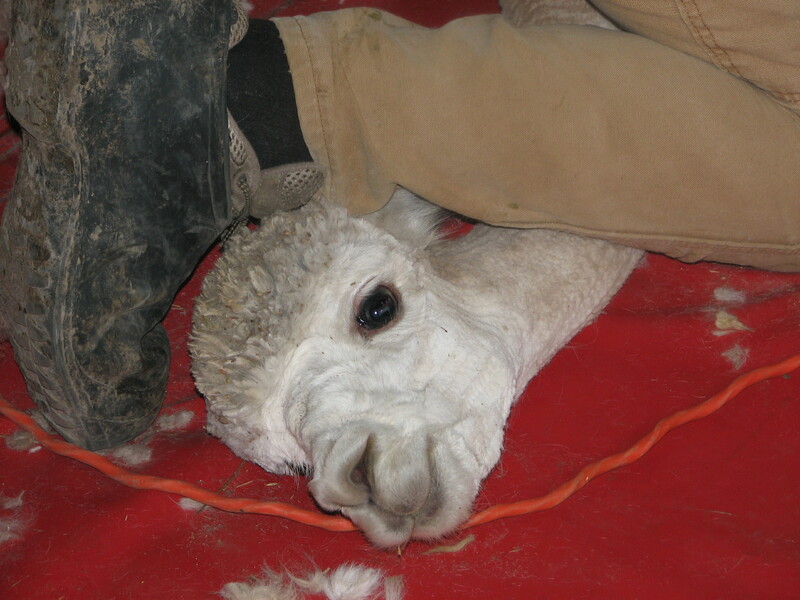 Learn about the alpacas and the fiber they produce. Shop the farm store for handspun yarns and hand dyed yarns, rovings and craft felts. Start your Holiday shopping early by browsing our selection of alpaca socks, hats and gloves as well as hand made soaps, made right on the farm! Try your luck at fishing in the farm pond, gather eggs in the hen house or just sit, relax and enjoy the farm day refreshments. So far, every year that we have held Fall Farm Day we have been blessed with perfect weather! But we will hold the 2016 Fall Farm Day rain or shine, so come prepared for the weather. 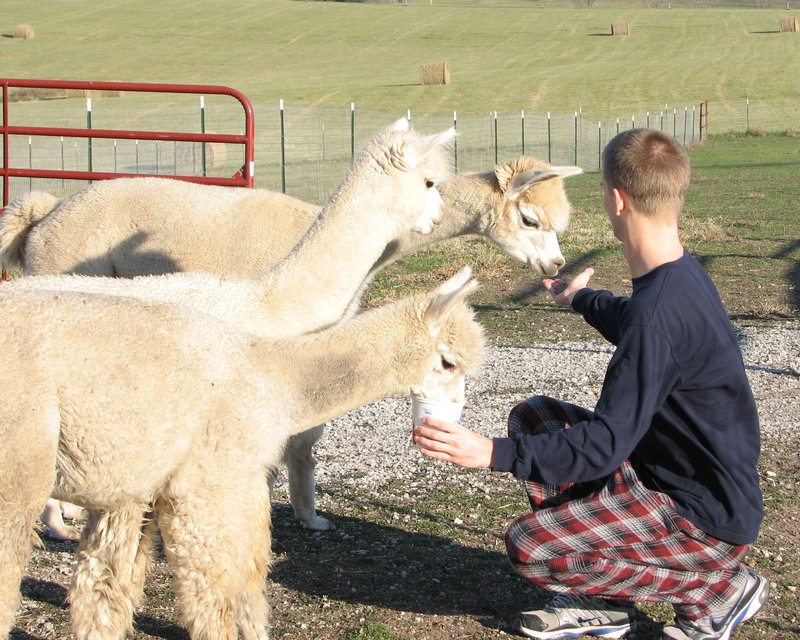 If the weather is nice, we will open the front female alpaca pasture so you can move among the alpacas. If it rains, we will figure out a way that visitors can view the alpacas close up and stay dry at the same time. In any kind of weather though, if you want to move among the alpacas, make sure to wear poop-proof footwear! We would like to invite you to try your luck at fishing in our farm pond. We will mow down to the north pond (you will be able to drive down there if you wish) and will mow around the pond. Bring a pole, bait, a chair and bug spray to make your experience more enjoyable. Of course, all children must be accompanied by an adult. We want your visit to be enjoyable. Feel free to wander the property and take all the pictures you want. If you find a nice, out of the way place to relax and enjoy the farm, please feel free to do so. Poke your head into the hay barn and look for the many (too many) barn cats that call the farm home. Check out the fruit trees, berry bushes and grapevines in the back yard. Whatever you choose to do, enjoy your farm visit! Farm Day No Pets Policy – please do not bring your pets to Farm Day. We currently only have one dog, our livestock guardian dog, Bella on the farm. Bella has a job to do and although she might be visiting with Fall Farm Day guests, she is always alert and ready to defend the alpacas. Bringing other pets to Farm Days could possibly cause either your animals or ours to be hurt. We will all have a better experience if all pets are left at home. Feel free to contact us should you have any questions. Look forward to seeing you on Fall Farm Days! Shearing Day 2014 is right around the corner! 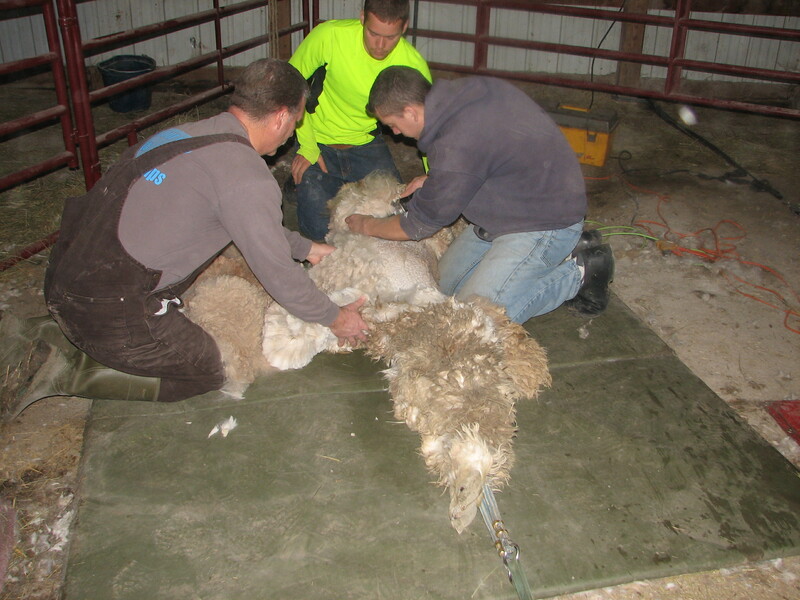 Right now we are expecting the Shearing Team to arrive around 8:30 – 9:00 a.m. on Saturday morning, April 12th. We invite you to our harvest day! Please check this blog or our website before you come out. We are only 1 of 3 farms that our shearing team with work with on Saturday and we always have to be flexible with their time. I will post any changes to the timing (if there are any) on both this blog and our website at http://www.naturalfiberfarm.com. Shearing day is the most important day of the year for our fiber farm. It is our day of harvest…the day we have worked so hard for all year. We will be able to hold in our hands all that wonderful fiber…..and see for ourselves how our breeding decisions, feeding and mineral supplements, attempts to keep the barns and pastures clean and our overall herd health has impacted our fiber harvest. 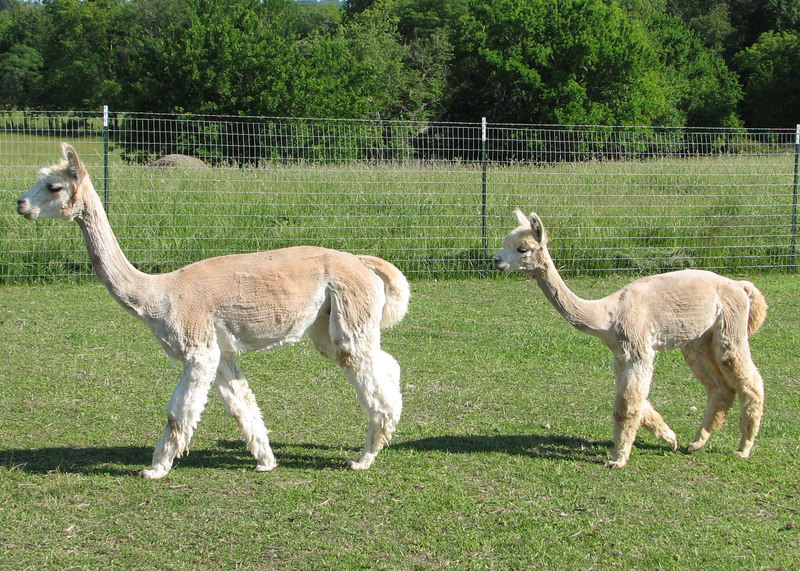 And for our alpacas, they get to enjoy the sweet coolness that comes with a freshly shorn body. Please don’t expect the alpacas to be on their best behavior. This is a very stressful day for them. They have often been kept in the barn for a day or so to make sure they are dry. We keep both male and females (in separate sides of the barn, of course) but they are close enough to add even more stress to the situation. When the shearers arrive, the alpacas get scared, stressed and just plain mad. Some will be absolutely quiet, some will hum worriedly, some will screech at the top of their lungs. And yes, some will spit at anything in their path. 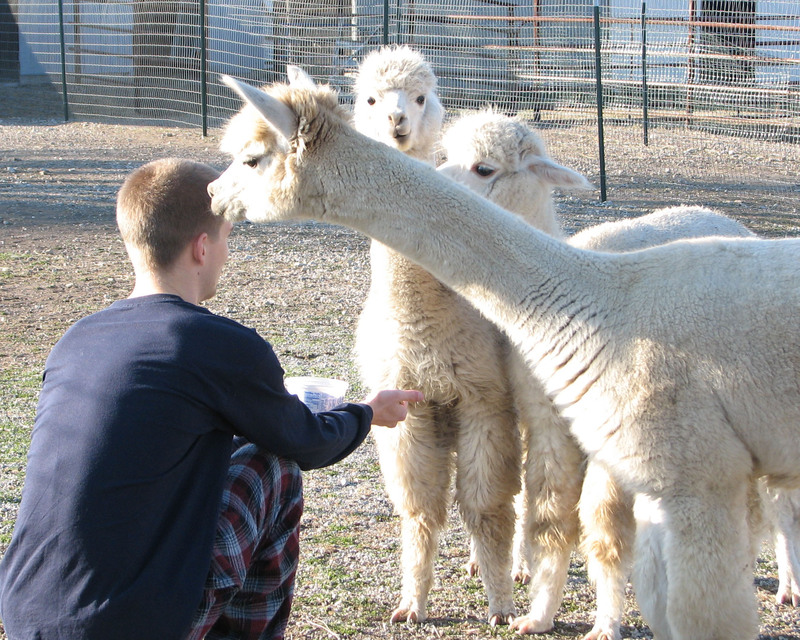 This is not the best time to observe the typically quiet, gentle nature of the alpaca. What you can expect to see is an impressive process. 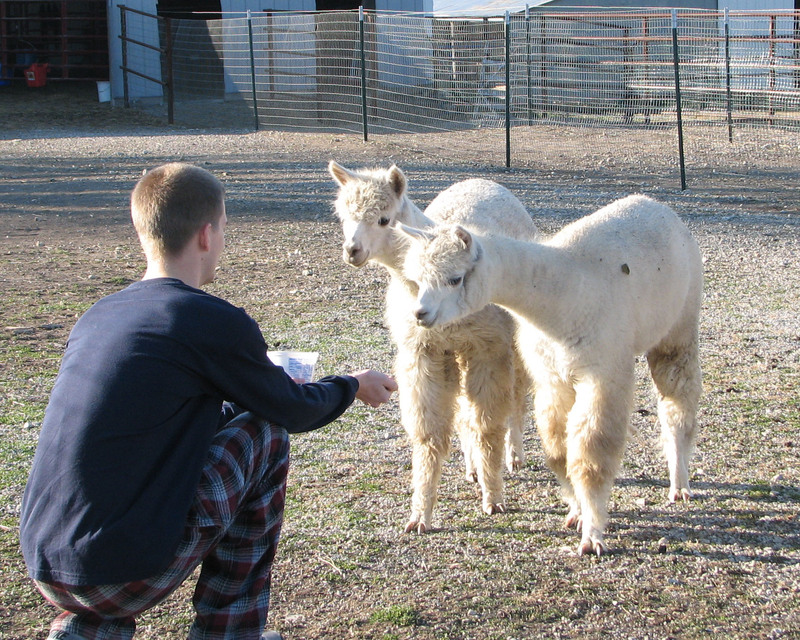 Our shearing team is a group of 4 young men who have tons of alpaca handling and shearing experience. They will set up 2 shearing stations in the barn and get right to work. We can expect them to shear our 38 alpacas in 3 plus hours. As the shearers are working with the alpacas, we are collecting fiber and sweeping up after each animal is shorn. It is definitely something to see. Come prepared to be out in the weather. We will shear in the main barn where the animals and shearers will be dry, shaded and have easy access to the animals and electricity. The barn will be crowded with 38 alpacas, 4 shearers, and several fiber collectors all trying to stay out of each other’s way. All spectators will need to watch from outside the barn, so come prepared with what you might need to protect yourselves from the weather and don’t forget to wear shoes that are suitable for a barnyard! We will have lunch for the shearing team and our guests after shearing is done. The shearing team has a 3 hour drive ahead of them and will shear at another farm before the day is done. We hope they can stay and eat with us, but if not, we will send them on their way with lunch to eat on the road. We would love to have you stay with us for lunch. Please send us a quick email (or comment below) if you will join us. That will help get a good number as to how many we might have. While shearing is taking place, Jeff and I will probably not have a minute free to visit with you. Hopefully you can stay around a little while after shearing, enjoy lunch with us and visit. Please do not bring any pets to the farm. Our dogs are trained to live with our animals and to protect them. There is a lot going on and we sure don’t want any animals to get hurt. And finally a word about our miniature donkeys Jelly & Jalapeno. They love attention and it will be very hard for them to understand why the alpacas are getting so much of it…..and they so little, on shearing day. We will have them farther out in the pasture, out of the way of the business in the barn. If you don’t mind, take a minute to give them some love while you are here. They are sweethearts and I guarantee, visiting with them will make your day! I will have more information later, but for now, SAVE THE DATE! An example of Alpaca Jeff forgetting his good manners. Not everyone likes to be sniffed around the head……..
We will keep working with the boys on their alpaca manners so they will be ready to greet visitors on Holiday Open Farm Day! 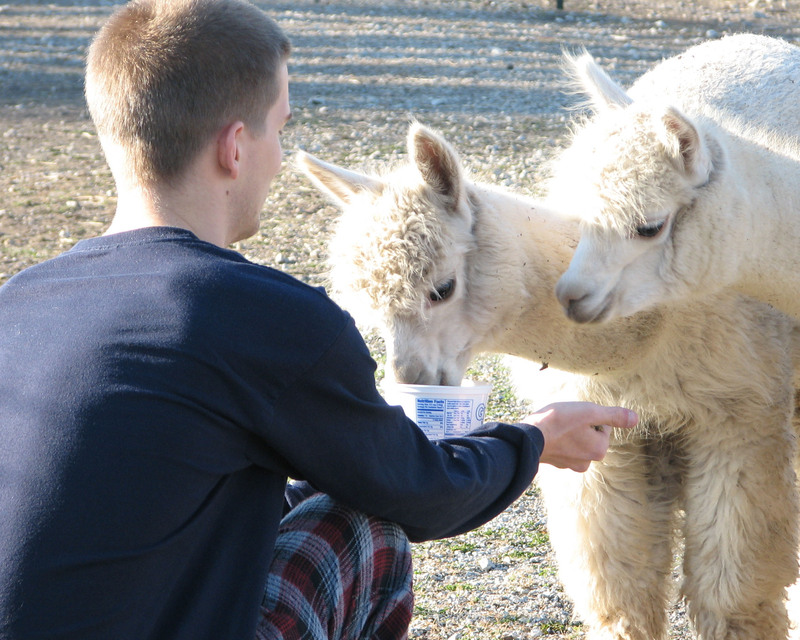 Dress for the weather and get to know the alpacas us close. Come inside to browse a selection of alpaca products, yarns and rovings. Relax, wander about and enjoy learning about our fiber farm. If you are interested in meeting the alpacas, come dressed for the weather. I’m afraid it is going to be a cold day! We have assigned our 5 yearling boys, Revolution, Ringo, Sgt. Pepper, Imagine and Jeff (alpaca Jeff that is) to be the official greeters for the day. They have been working diligently the past 2 weeks on their alpaca manners to be ready for the big day. The farm store will be inside where it is nice and warm. Rhonda Butler with R&B Alpacas will be here with alpaca products as well. Between the two of us, I think you will find a nice selection of natural fiber products. The farm address is 15908 Cameron Road, Kearney, MO 64060. Often times, a GPS will send you down our neighbor’s driveway. Keep in mind that you will need to enter between the white vinyl fencing on the west side of the road. Also, we have a very long asphalt driveway. If you turn onto a gravel driveway you are at the wrong place. 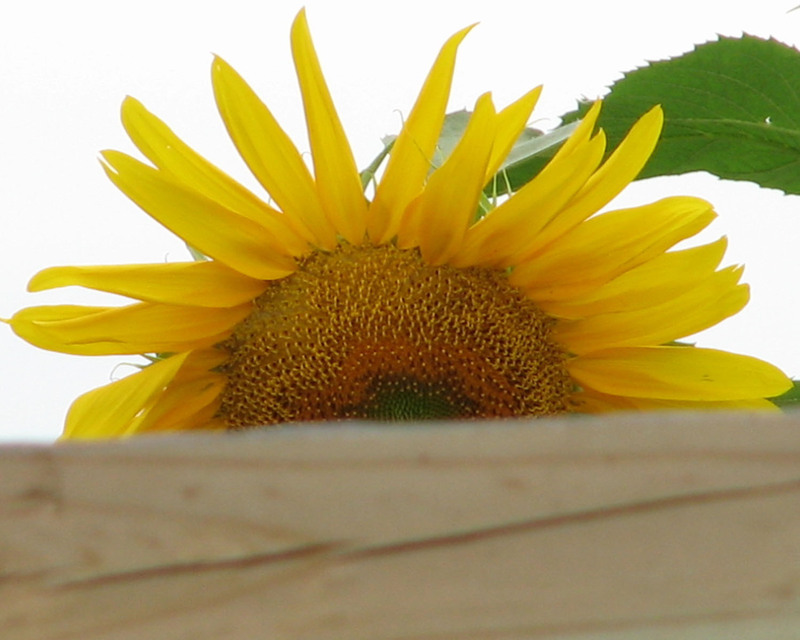 The farm will be open between 1:00 p.m. – 6:00 p.m. Sunday afternoon. You do not need to let us know that you are coming, just feel free to come spend as much time as you would like. We would love to see you!